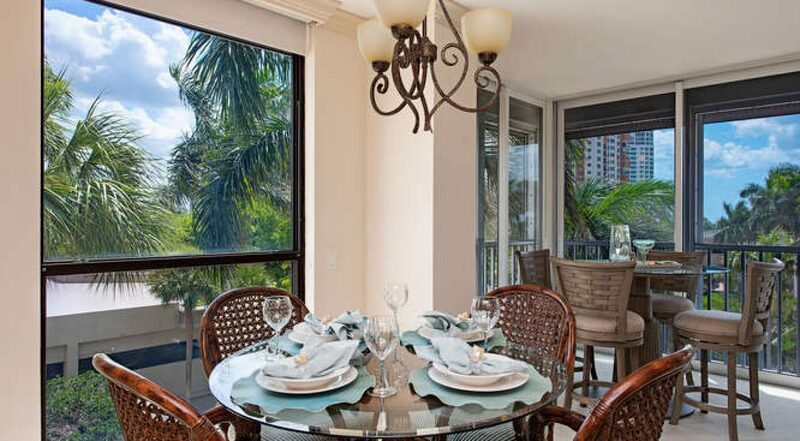 Enjoy magnificent southwest Gulf views from this updated unit in the spectacular Monaco Beach Club. The open floor plan is accented by beautiful neutral tones. The living room and dining room with its dry bar is the perfect entertainment space. A wall of windows highlights the Gulf views from the quaint den. Featuring a light and bright breakfast room, a desk area and a large pantry the charming kitchen has rich granite and an elegant tile backsplash. Custom cabinetry, stainless steel appliances and a wall oven and microwave complete this functional kitchen. A spacious master suite that calls attention to a pleasing sitting area with Gulf views is the ultimate place to relax. Two large walk-in closets and a linen closet offer convenience and storage. The amazing en-suite bathroom has a spa tub, a walk-in shower, counter height double sinks and a separate toilet and bidet enclosure. Family and friends will delight in the second bedroom with floor to ceiling windows and a modern bathroom with a tub/shower, a counter height sink area with gorgeous granite and a linen closet. A laundry room with cabinets and shelves also offers storage. Feel safe and secure with electric hurricane shutters all around. 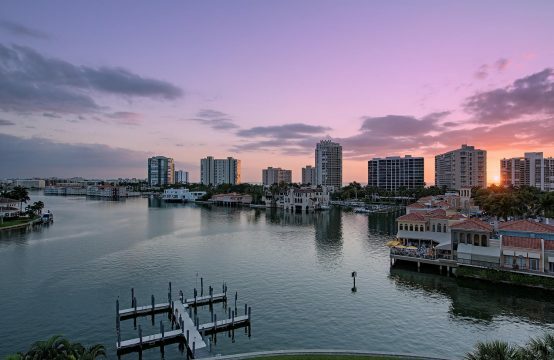 The Monaco offers unsurpassed views of the Gulf of Mexico or Venetian Bay from every residence. 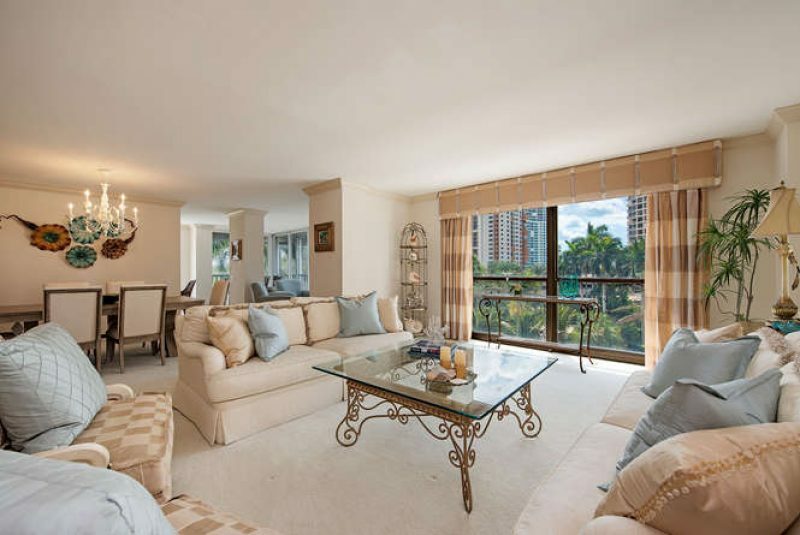 The building is situated on 6.09 acres of prime beachfront property with 138 units on 18 residential floors. 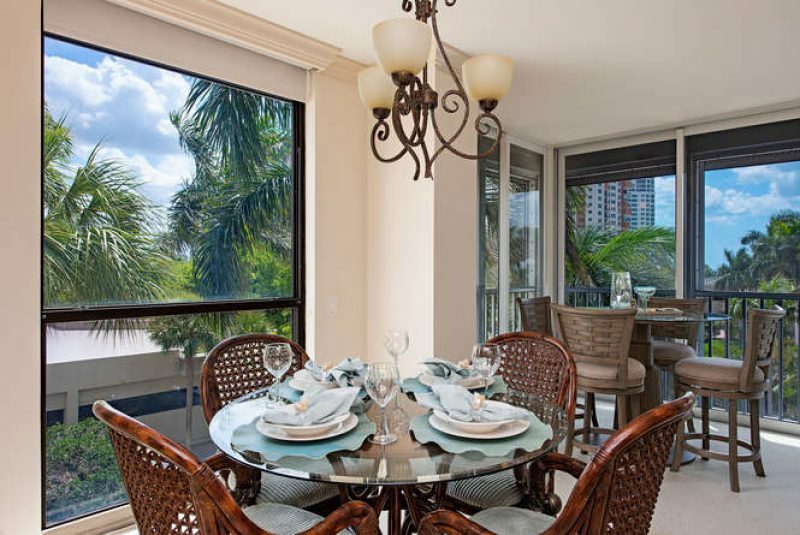 Amenities include a beautiful beachfront pool and spa, barbecue facilities, fully equipped fitness facility, tennis courts, covered parking, and 24-hour security with a manned and gated entrance. All residents have access to the private, lighted Park Shore Beach promenade walk. In April of 2012, The Monaco completed a 2.9 Million Dollar renovation including the lobby, atrium, office, mail room, restrooms, social room, and state-of-the-art fitness center. 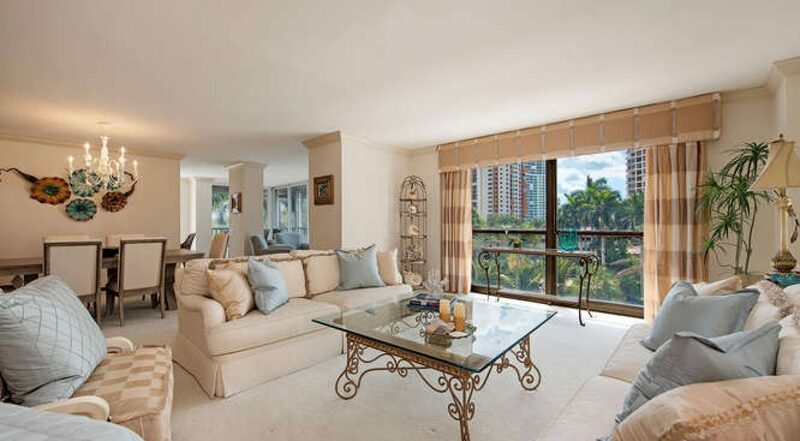 Monaco Beach Club is just steps away from the upscale shopping and dining destination of Venetian Village.